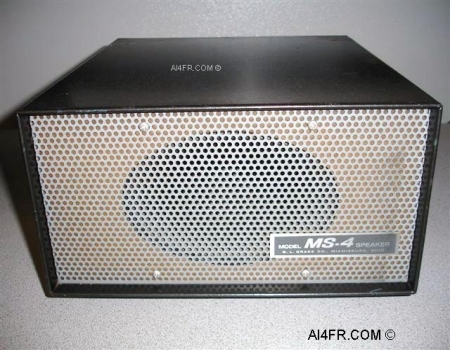 The MS-4 is the matching speaker for the DRAKE 4 line. The MS-4 has a 5" x 7" heavy magnet speaker located on the inside front of the cabinet. The physical dimensions of the cabinet is 5 3/8" high by 10 3/4" wide by 11 1/8" deep. The weight of the MS-4 with out the added power supply is 6 pounds. As is so often the case with these speaker enclosures, a previous owner would add the power supply for the radio inside the cabinet of the MS-4. This is not an after market modification but rather the engineers at Drake designed the speaker cabinet with this in mind. Inside the speaker cabinet that is featured on this web page, a former owner has added the Drake AC-4 power supply. 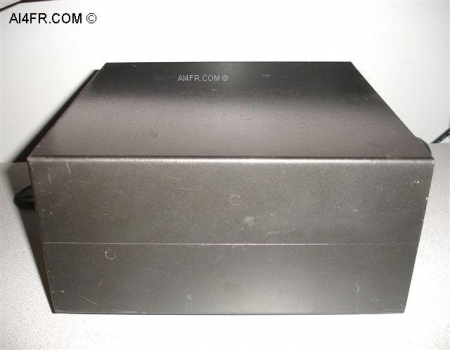 This power supply can run from either 120 volts AC or 240 volts AC. A factory installed switch allows the operator to select the proper input AC voltage. The photograph on the left is a picture of the back of the MS-4 with the AC-4 power supply installed. 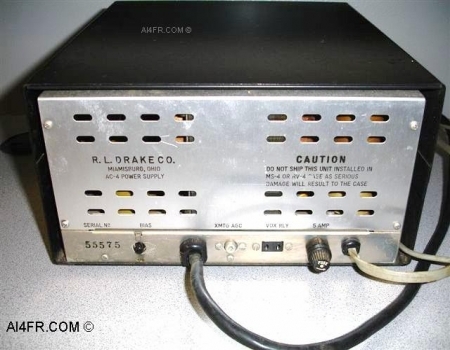 The photograph on the right is a close up of a warning that Drake applied to this AC-4 power supply. 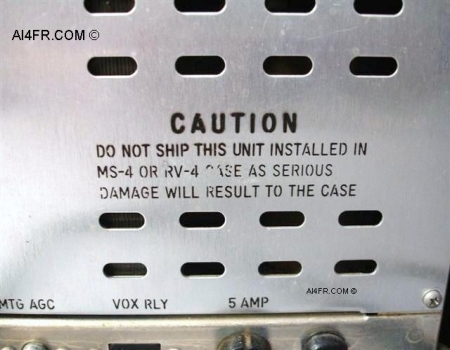 It warns that serious damage will result if the power supply is shipped while it is installed in the MS-4.